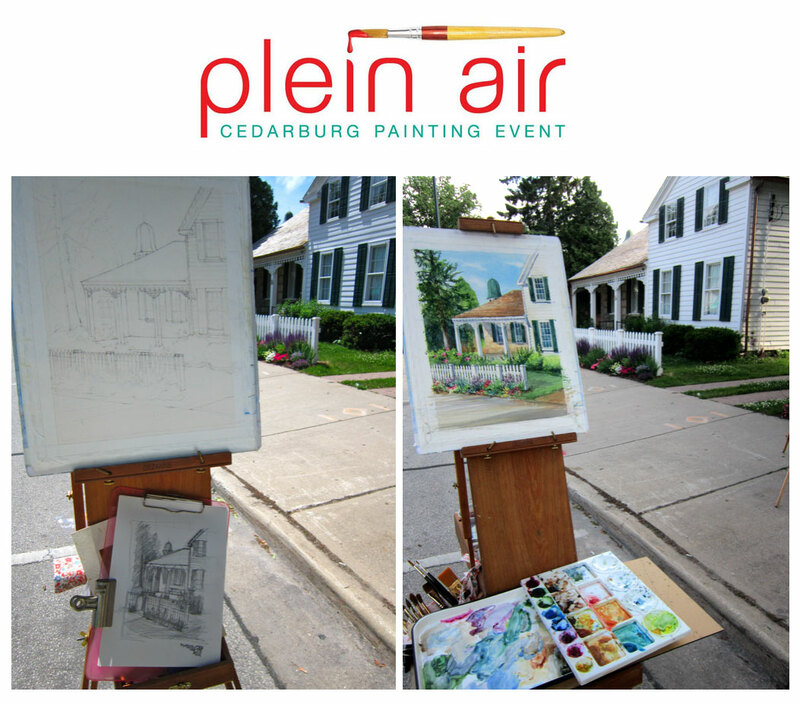 Day two and three of Cedarburg Plein Air found me in the middle of town with way too many subject choices. I could spend weeks painting and only touch upon the abundance of interesting surroundings. The Gingerbread embellishment on the 1849 Kuehfuss house is what drew me in. Of course once you start it, you ask yourself why in the world did I choose this building. So much detail for plein air, but the way the light hit the building and the picket fence made me jump in with both feet. Besides, figuring it out is half the challenge! Downtown was full of people and I think most stopped to chat or take a look at the process. At one point I felt like I was giving a watercolor demo. The kids had the best questions! This painting was not exhibited at the cultural center. I wish we were allowed to exhibit more than two paintings for the main event. 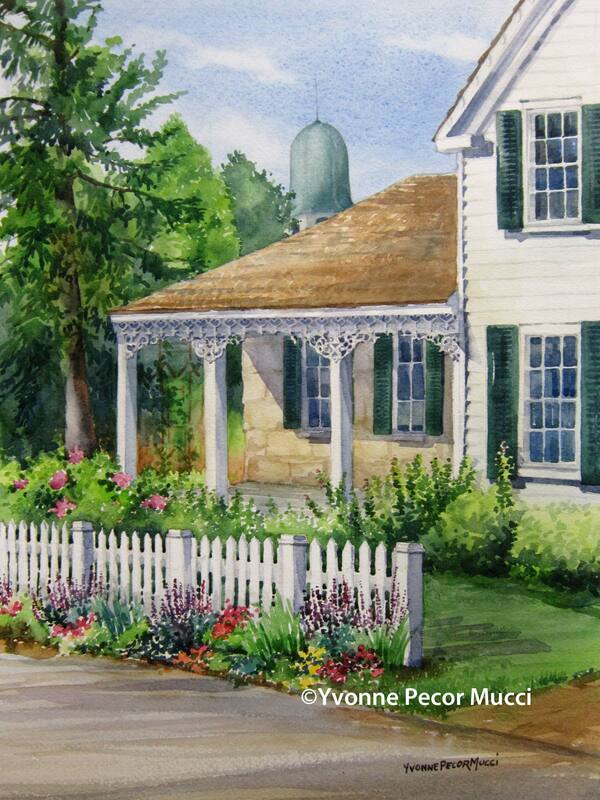 This watercolor painting is available for purchase.